An attractive new account from Nottingham BS helps first-time buyers get on the housing ladder. Its Lifetime cash Isa, which pays 1 per cent, is only the second of its type available for those looking to save a deposit to buy their first home and benefit from a big Government bonus. Skipton BS’s account, also paying 1 per cent, which has been on sale since June 2017, has proved popular. Some 112,000 savers have snapped up the chance to earn the 25 per cent boost. Lifetime Isas, which launched in April 2017, allow those aged 18 to 39 to open an account and save for their first home or retirement in one place. The Government adds a 25 per cent bonus of up to £1,000 a year for every £4,000 saved. Most Lifetime Isas link your money to shares, where its value follows the stock market. But this has made them less appealing to homebuyers. By contrast, cash is considered safer when saving for a house — and these types of Lifetime Isas have also proved a better deal for homebuyers than the Help to Buy Isa, introduced in 2015. Compared with the Help To Buy Isa, the Lifetime cash Isa is a faster way to build up funds. You can also buy a more expensive first home and have quicker access to the cash when you start the buying process. Both accounts give a 25 per cent bonus when you buy a home, but have different savings limits. With the Help to Buy Isa, you can save £2,400 a year (£3,400 in year one, including an initial £1,000 deposit), or £12,000 in total. That gives a bonus of up to £600 a year (£850 in year one) and a maximum of £3,000. With the Lifetime Isa, you can save up to £4,000 a year, with a bonus of up to £1,000 a year, and save for longer (maximum bonus £33,000). You must hold the account for at least a year to qualify for the bonus, so it won’t suit you if you plan to buy before then (with the Help To Buy Isa, you qualify for the bonus once you’ve saved £1,600). You can use your Lifetime Isa to buy a first home for up to £450,000 and it can go towards the initial deposit at the start of the process. With the Help to Buy version, the maximum house price is £250,000, unless you are buying in London, where it’s £450,000. You don’t get the bonus until you complete the purchase. 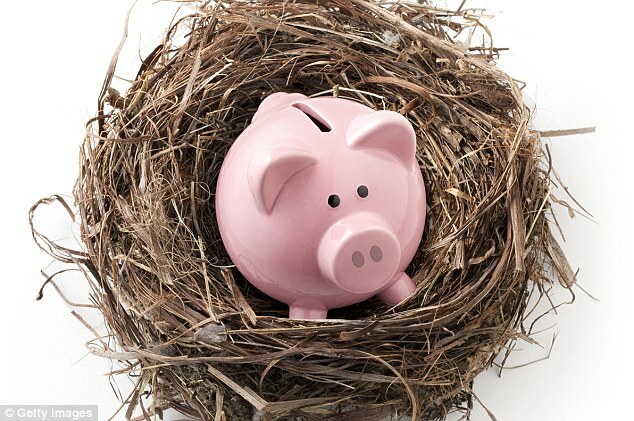 Note the Lifetime Isa has a fierce 25 per cent charge if you use the cash for anything other than a first home or retirement, which can leave you with less than you put in. So, if you put in £4,000 (£5,000 with the bonus), the penalty is £1,250. That leaves £3,750 — a £250 loss. The Nottingham account is on sale via its 67 branches. When you buy your first home, it will also help find you the best mortgage from the whole market for free (this service usually costs up to £249). The Skipton account is online-only. You could get £250 cashback if you take out your mortgage with the society.